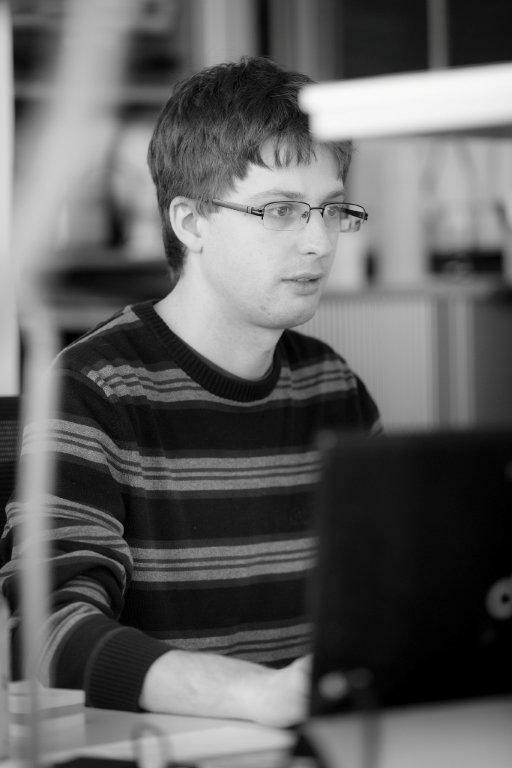 Sebastian Arndt is a researcher at the Quality and Usability Lab of the Telekom Innovation Laboratories, TU Berlin. 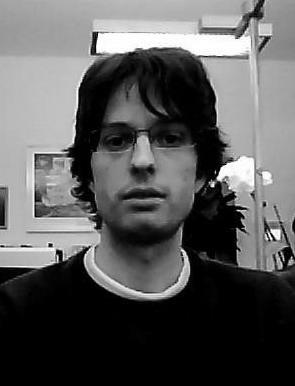 He studied Computer Science at Technische Universität Berlin and received his diploma in 2010. He received his doctoral degree (Dr.-Ing.) in 2015 with the thesis title 'Neural Correlates of Quality During Perception of Audiovisual Stimuli'. His current research focus is on physiological changes during the perception of audiovisual quality. 2012 he was a visiting researcher at MuSAE Lab (Montreal, Canada) in order to work on multimodal neural correlates for synthesized speech. Arndt, Sebastian and Perkis, Andrew and Voigt-Antons, Jan-Niklas (2018). Using Virtual Reality and Head-Mounted Displays to Increase Performance in Rowing Workouts. Proceedings of the 1st International Workshop on Multimedia Content Analysis in Sports. ACM, 45–50. Uhrig, Stefan and Arndt, Sebastian and Möller, Sebastian and Voigt-Antons, Jan-Niklas (2017). Perceptual references for independent dimensions of speech quality as measured by electroencephalography. Quality and User Experience. Springer International Publishing, 1–17. Nordheim, Johanna and O'Sullivan, Julie and Gellert, Paul and Arndt, Sebastian and Kuhlmey, A. and Antons, Jan-Niklas (2017). Tablet-based intervention for Nursing Home Residents with Dementia: A cluster RCT. Proceedings of the 21st World Congress of Gerontology and Geriatrics. Oxford University Press, 1370. De Moor, Katrien and Arndt, Sebastian and Ammar, Doreid and Voigt-Antons, Jan-Niklas and Perkis, Andrew and Heegaard, Poul (2017). Exploring diverse measures for evaluating QoE in the context of WebRTC. 2017 Ninth International Conference on Quality of Multimedia Experience (QoMEX). IEEE, 1–3. Engelke, Ulrich and Darcy, Daniel P. and Mulliken, Grant H. and Bosse, Sebastian and Martini, Maria G. and Arndt, Sebastian and Antons, Jan-Niklas and Chan, Kit Yan and Ramzan, Naeem and Brunnström, Kjell (2017). Psychophysiology-Based QoE Assessment: A Survey. IEEE Journal of Selected Topics in Signal Processing. IEEE, 6–21. Radun, Jenni and Nuutinen, Mikko and Antons, Jan-Niklas and Arndt, Sebastian (2017). Did You Notice It?—How Can We Predict the Subjective Detection of Video Quality Changes From Eye Movements?. IEEE Journal of Selected Topics in Signal Processing. IEEE, 37–47. Arndt, Sebastian and Antons, Jan-Niklas (2016). Enhancing Video Streaming Using Real-Time Gaze Tracking. Proceedings of the 5th ISCA/DEGA Workshop on Perceptual Quality of Systems (PQS 2016). ISCA, 11–14. Antons, Jan-Niklas and O'Sullivan, J and Arndt, S and Gellert, P and Nordheim, J and Möller, Sebastian and Kuhlmey, A (2016). PflegeTab: Enhancing quality of life using a psychosocial internet-based intervention for residential dementia care. ISRII 8th Scientific Meeting - Technologies for a digital world: Improving health across the lifespan. International Society for Research on Internet Interventions (ISRII), 1–1. Arndt, Sebastian and Antons, Jan-Niklas and Schleicher, Robert and Möller, Sebastian (2016). Using Electroencephalography to Analyze Sleepiness Due to Low-quality Audiovisual Stimuli. Image Communication. Elsevier Science Inc., 120–129. Arndt, Sebastian and Brunnström, Kjell and Cheng, Eva and Engelke, Ulrich and Möller, Sebastian and Antons, Jan-Niklas (2016). Review on using physiology in quality of experience. IS\&T International Symposium on Electronic Imaging 2016. Society for Imaging Science and Technology (IS\&T), 1–9. Antons, Jan-Niklas and Arndt, Sebastian and Möller, Sebastian (2016). Structure proposal for the work item on the use of physiological measures as an additional test method for speech quality assessment (P.PHYSIO). Möller, Sebastian and Antons, Jan-Niklas and Arndt, Sebastian (2015). Proposal to Work on a Recommendation on the Use of Physiological Measures as an Additional Test Method for Speech Quality Assessment. ITU, 1–6. Antons, Jan-Niklas and Arndt, Sebastian and De Moor, Katrien and Zander, Steffen (2015). Impact of perceived quality and other influencing factors on emotional video experience. 2015 Seventh International Workshop on Quality of Multimedia Experience (QoMEX). IEEE, 1–6. Arndt, Sebastian and Möller, Sebastian and Antons, Jan-Niklas (2015). Challenging ITU-T P.835: Searching for the optimal order of scales for assessing the quality of complex speech signals. Tagungsband der 41. Deutschen Jahrestagung für Akustik. DEGA, 147–149. Köster, Friedemann and Möller, Sebastian and Antons, Jan-Niklas and Arndt, Sebastian and Guse, Dennis and Weiss, Benjamin (2014). Methods for Assessing the Quality of Transmitted Speech and of Speech Communication Services. Acoustics Australia. Australian Acoustical Society, 179–184.